Within the WSSS curriculum, students are able to take two types of courses: hard-approved and soft approved courses. These course categories are described in detail below. 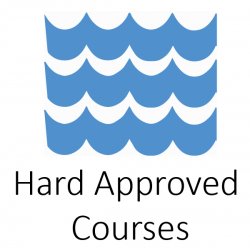 Additionally, if a water-related course is not listed and is available at Tufts or a partner university, students may request the course to approved. As an interdisciplinary program, WSSS students are encouraged to take classes outside of their field of study, and course options from across Tufts' graduate schools are listed below. Hard-approved courses directly address water issues in the majority of the course curriculum. Please note that these classes may not be offered every year or semester. 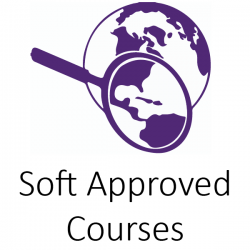 Soft-approved courses address water issues in a combination of class content and/or class assignments. Please note these classes may not be offered every semester or every year. 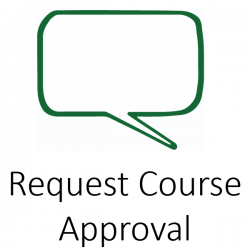 Soft-approved courses require additional approvals before being completed for fulfillment of the WSSS requirements. Please see the Soft Course Approval Form found on the Student Forms page. If there is a graduate course available at Tufts or at a partner university that is not listed above that you would like to take, you have the opportunity submit a new course approval form for review before completing the course.